The Inwood Performing Arts Company is celebrating its 36th season. Over the past thirty six years, founders Winston and Denna Smith have developed a unique arts facility offering students the opportunity to study both Dance and Music. 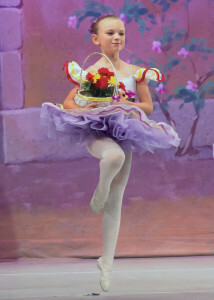 Dance classes are offered for each stage of the developing dancer beginning as early as age three. Young children in Pre-ballet learn in a nurturing atmosphere while developing skill that lay the foundation for future ballet technique. The Royal Academy of Dancing Syllabus transitions dancers yearly through a graded syllabus. This gradual process stimulated the development of confidence and discipline as well as cultivates a love for dance. The Inwood Performing Arts Company encourages students to enrich their dance education through the study of other contemporary dance forms including Jazz, Tap, Modern, Irish-step dance and Ballroom or through private musical study of piano, voice and guitar. No matter which path our student’s may follow the study of dance and music will enhance their discipline for school, work or in everyday family life. It is our goal to make your experience at the Inwood Performing Arts Company a positive, rewarding and memorable part of their lives. The Inwood Performing Arts Company has a professional teaching staff under the guidance of Director Denna Smith, a registered member of the Royal Academy of Dancing. Our highly qualified professional faculty carefully monitor and evaluate each student’s progress and needs helping them to achieve their personal best. We strive to build each student’s posture, strength, and agility while nurturing their discipline and love of the beautiful art form. Students will experience the enjoyment of both classical and contemporary stage performances including The Nutcracker, Swan Lake, The sleeping Beauty, Cinderella, Coppelia, Grease, A Chorus Line, Hansel and Gretel and La Fille Mal Gardee. the comprehensive training in classical, contemporary and jazz has placed our alumni in companies that include Colorado Ballet, Gus Giordano Jazz Dance Chicago, Houston Ballet II, Richmond Ballet and the Louisville Ballet, IPAC dancers received over $400,000 in scholarship to attend summer school that have included the Boston Ballet, Houston Ballet, Hubbard Street, Joffrey Ballet, North Caroling School of the arts. Pointe Park University, School of the American Ballet, Radford University and the Kirov Academy. The IPAC facility is conveniently located just off I-81 on Henshaw Road. The modern facility included four spacious dance studios, two private music studios, dance boutique, library, suspended wood floors and all the necessary amenities for the highest quality training. For your family’s convenience our facility also offers a snack lounge with Wi-Fi and multipurpose athletic field with ample lighted parking. Choosing your child dance education is a very important step, so visit us for a complimentary class so you can experience first hand the passion of our staff and students. At the IPAC we put our best foot forward for you!